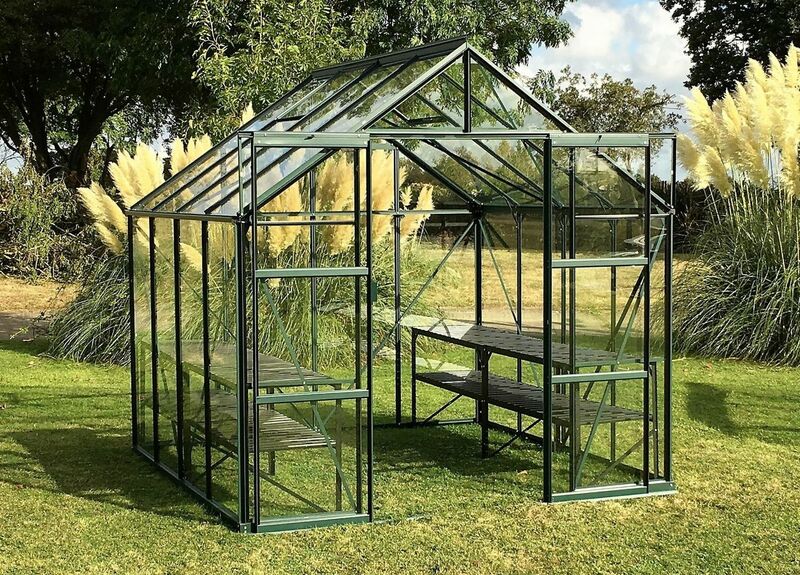 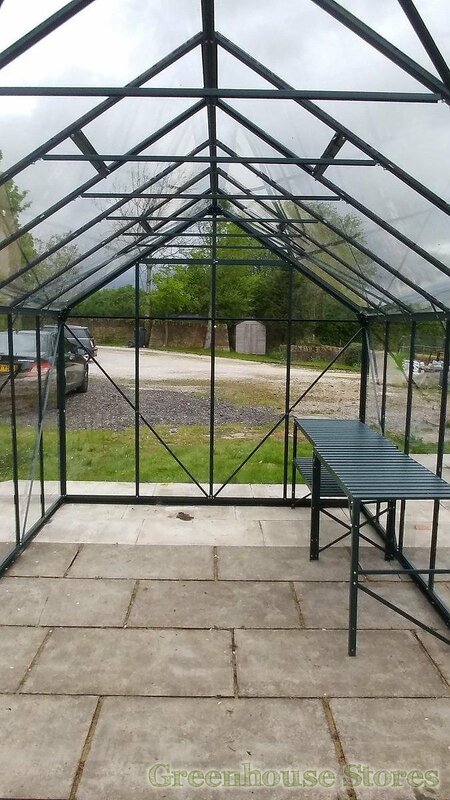 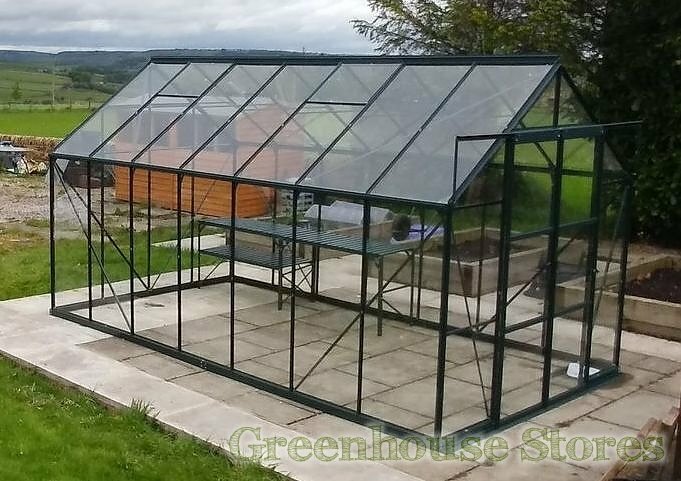 2564mm (8ft 5") Wide Greenhouse - Useable Growing Space. 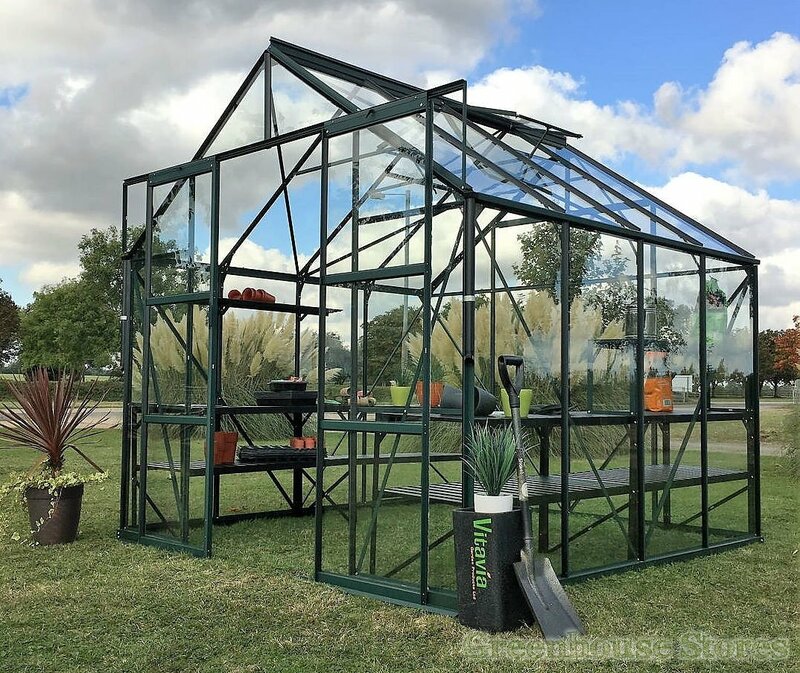 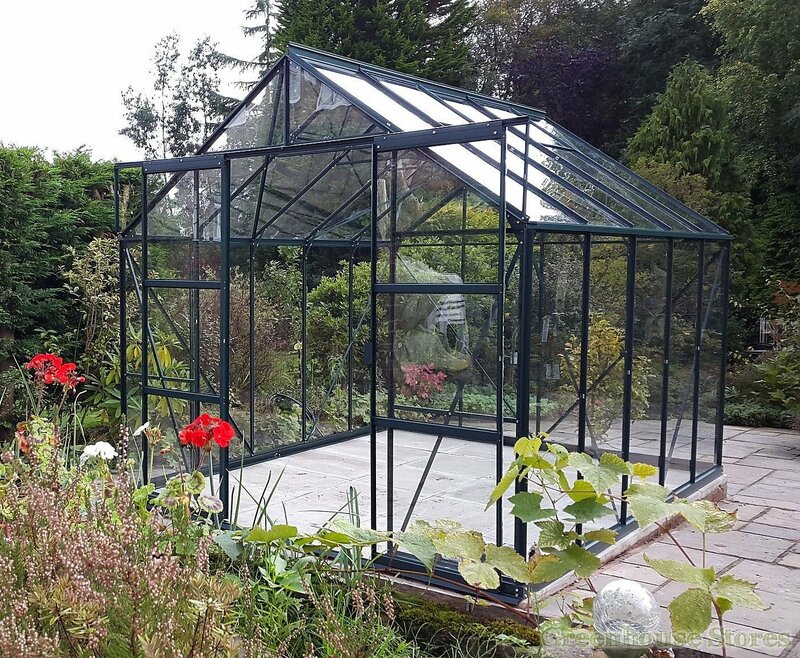 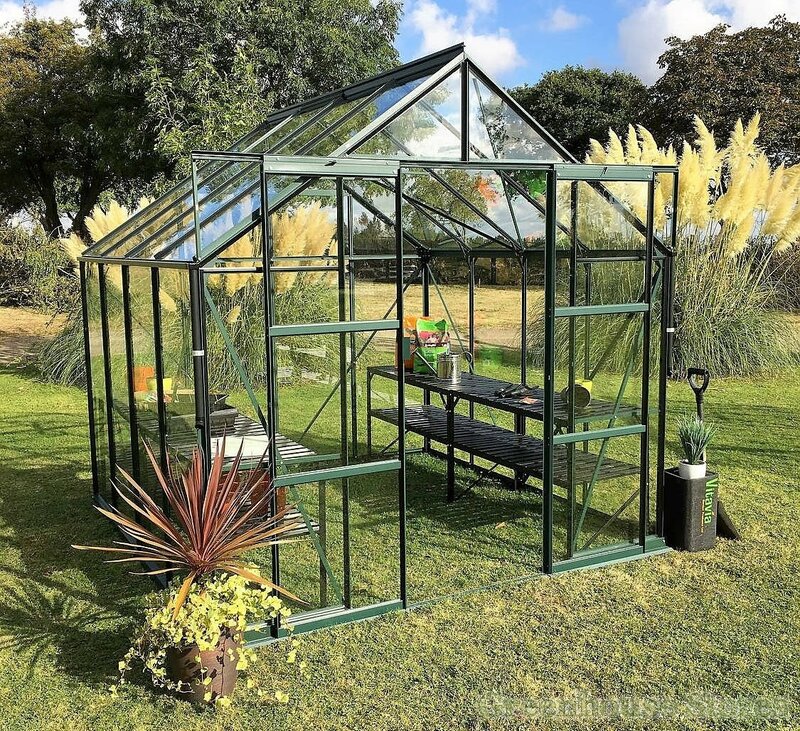 The 8x12 Green Vitavia Phoenix Greenhouse really looks the part with it’s powder dark green finish. 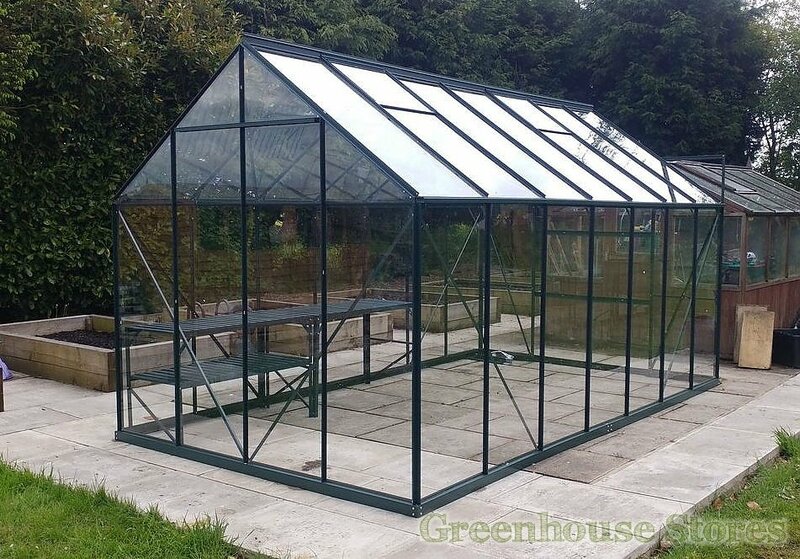 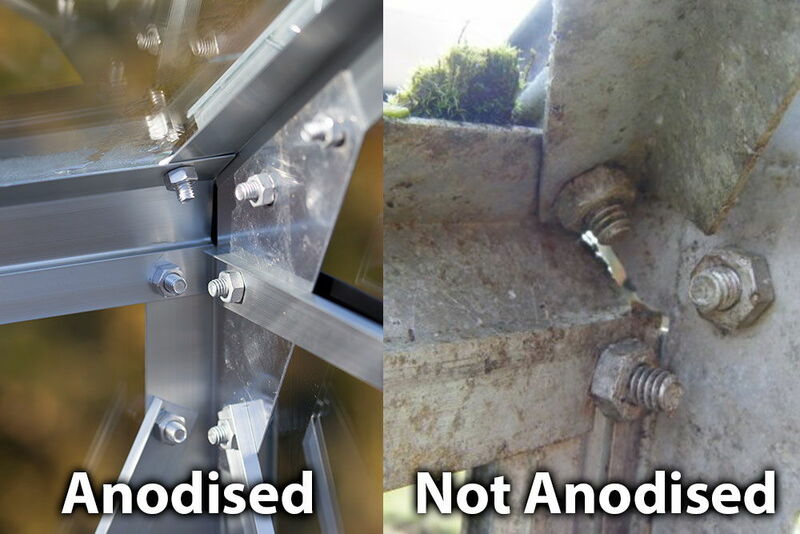 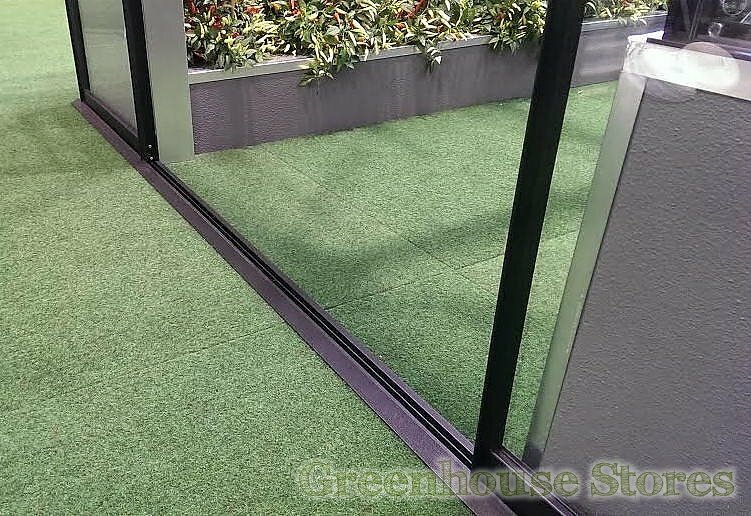 This new greenhouse is also highly useable due to the new low threshold entry point. 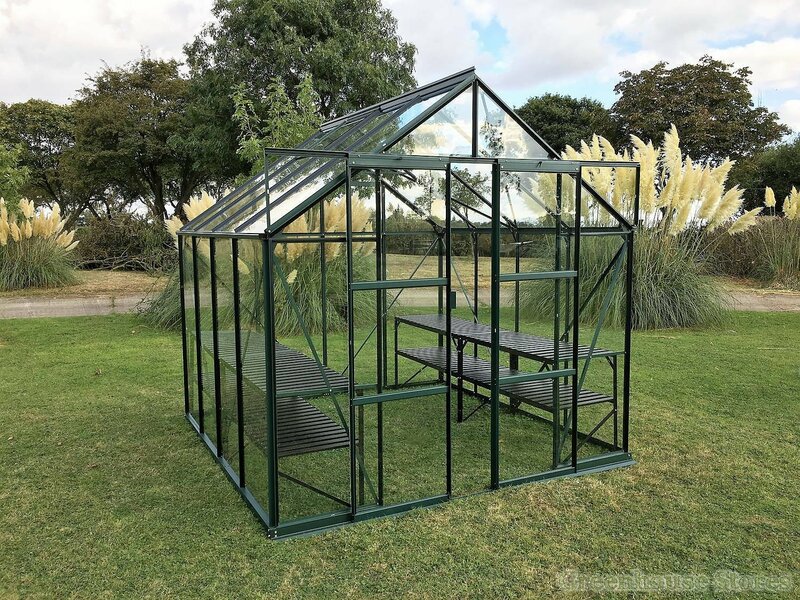 This green powder coated Vitavia Phoenix 9900 8ft x 12ft has 4 opening roof vents for good ventilation, sliding double doors and integrated base and gutters.